When attempting a new technique or learning to use a new machine or tool I have found (the hard way) that, for me, the best way to learn something is to go directly to the source. If, which often happens, a grizzled old technician, a salty carpenter, or a cranky machinist cannot be found, an old weathered book is often the second best source (plus you don't have to pay it in whiskey). 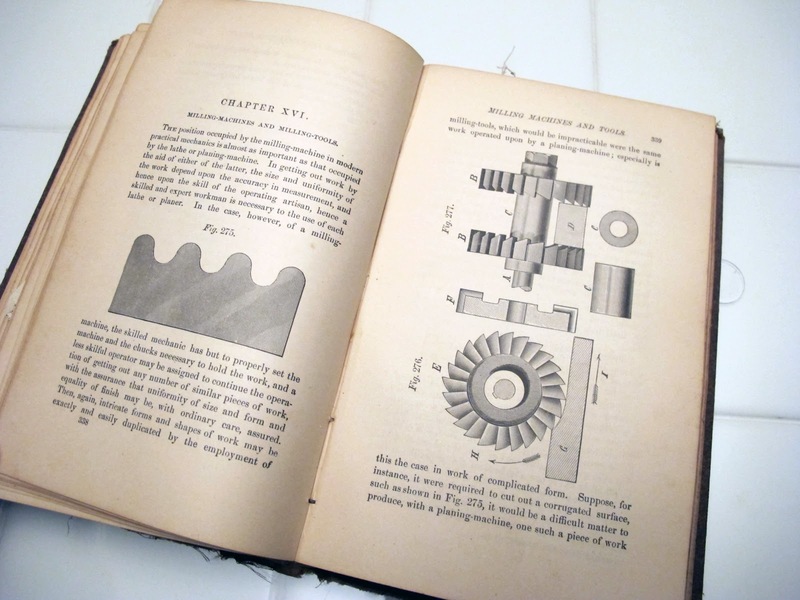 Antique technical manuals are rather easy to find on sites like eBay, or out of the way antique stores. 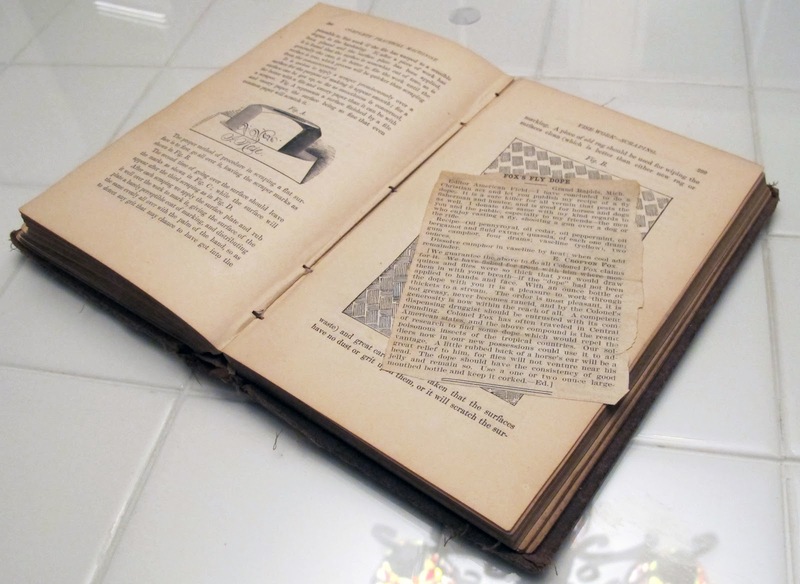 Some of the best tidbits come from books before WWII, and especially pre-1914. There was, in fact, a rather large contingent of 'do-it-yourselfers' before the widespread automation of large manufacturing facilities. The large community of DIY patrons led to many well written and illustrated how-to books. 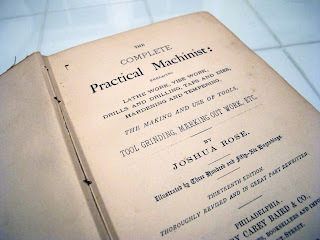 Books for John Q. Hobbyist, coupled with many excellent textbooks in print for trade schools and shop classes makes for a veritable cornucopia of antique instructional books available today (if you look in the right places). Another nicety of older texts is that many were printed prior to labels on hair dryers warning one to keep them out of the bathtub, meaning that they were printed prior to a sue crazy mass public. 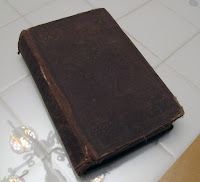 By putting (much of) the onus of safety on the reader, there are sometimes important details about a procedure or technique that might be otherwise be omitted or adapted to a less effective method nowadays. As yet another bonus, old books often come with little gems of the past stuck between their pages, as was the case with my 1885 copy of "The Complete Practical Machinist." I was reading through some pages on machining when I came across an unrelated newspaper clipping tucked between the pages. I'm not sure of the date of the clipping but its contents were rather timely. It was unusually warm on the East Coast this winter and Spring started very early, so the local bug (specifically ugly, blood sucking, annoying, disease mongrel, mosquitoes) population is exploding. Mosquitoes around here are as certain as...you guessed it...death and taxes. I hate these incessant little beasts and they are thick as pea soup in the evening when I do lot of work outside (to escape some of the summer heat). 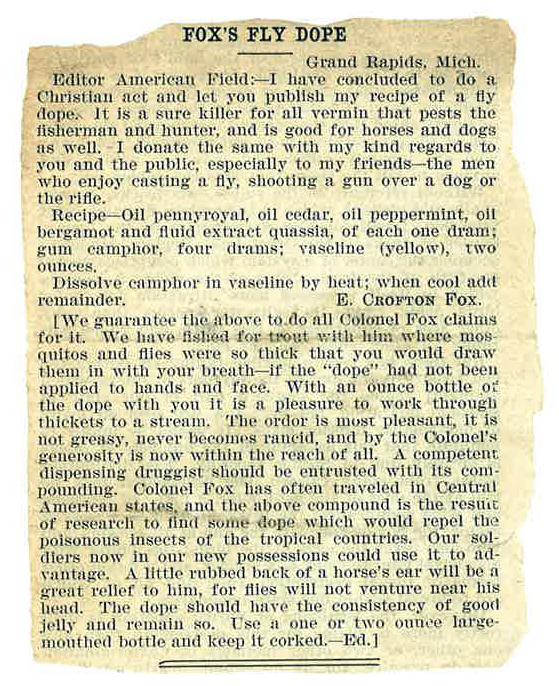 That all being said, this old-timey tincture might be worth a try, assuming I can find all the ingredients and nothing in it leads to immediate cancer or causes my leg to fall off or something.